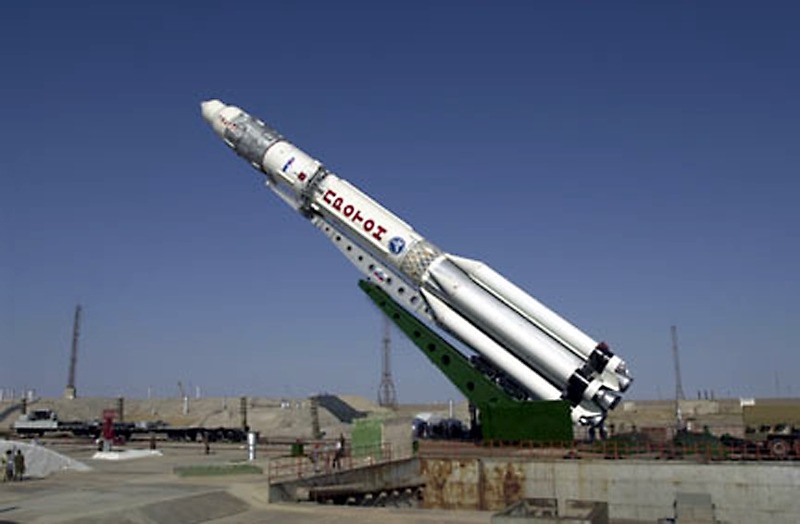 The Proton-M is the modern variant of the Russian built Proton heavy-lift rocket in operation since 2001 which has launched over 100 times from the Baikonur Cosmodrome in Kazakhstan. 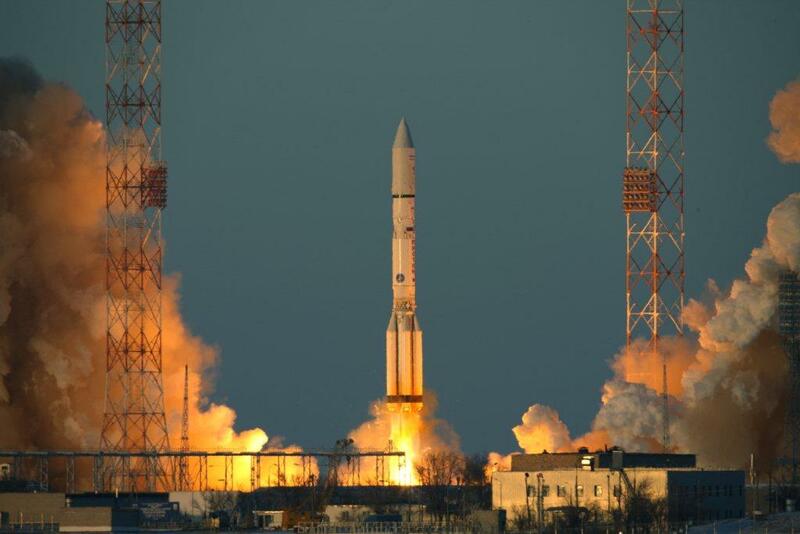 The Proton-M has 3 stages, weighs over 700 tonnes at launch and can deliver 23 tonnes to low Earth orbit. Interesting Facts About The Proton-M Workhorse! 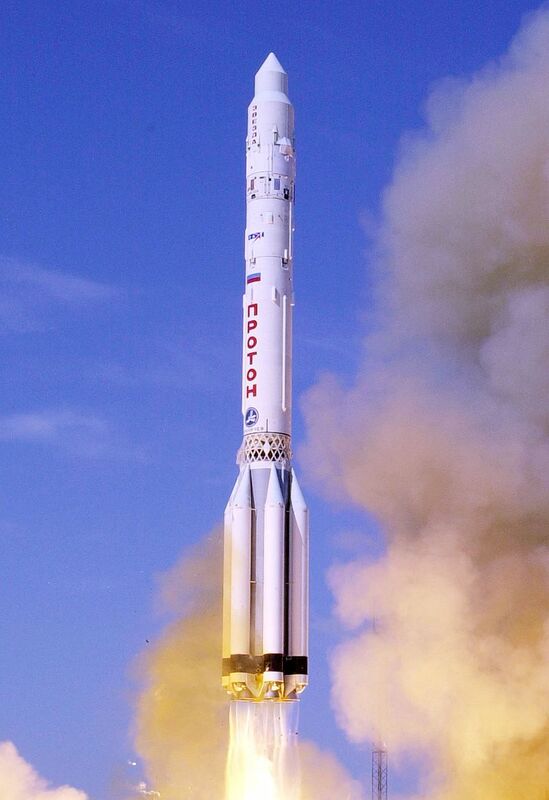 With the advent of Russia opening up, after the fall of the Soviet Union, and subsequent access to the western commercial launch market, Russia pursued satellite operators like Inmarsat to convince them that the existing Russian Proton rocket could compete in the launch market with other large American and European rockets. 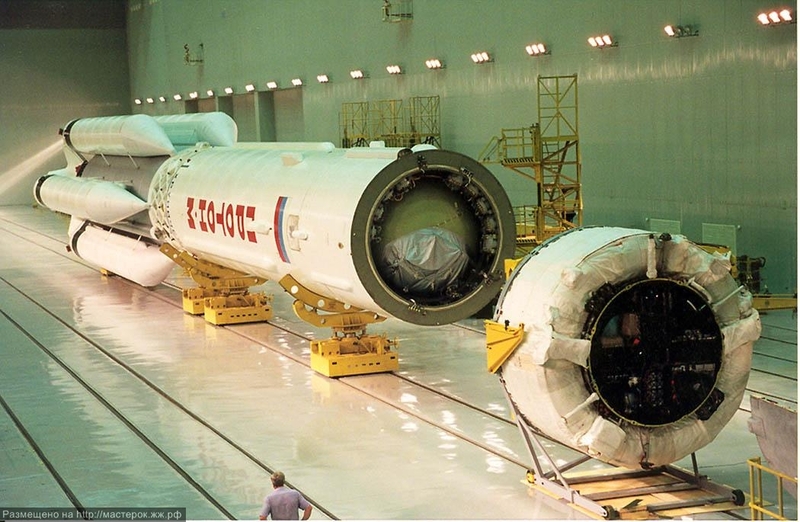 The Proton developers set about upgrading the Proton’s design, engines and systems and introduced a more advanced upper-stage known as the ‘Briz-M’ resulting in a more efficient rocket allowing greater payloads to orbit that the market demanded. 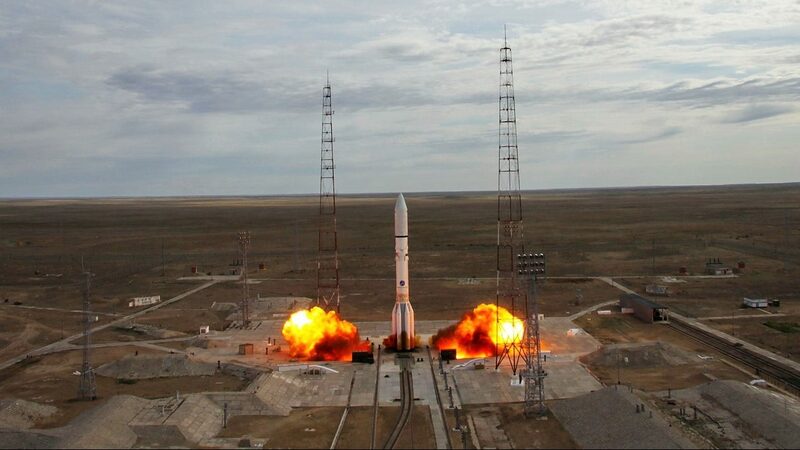 The more advanced rocket would be called the Proton-M! 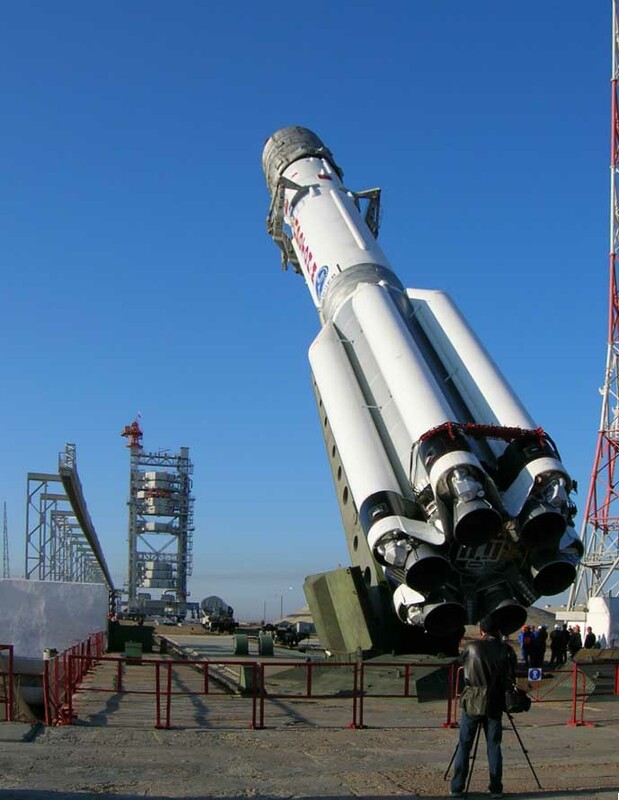 The Proton-M rocket is made up of 3 stages; all powered by toxic liquid hypergolic (ignite on contact at room temperature) propellant. 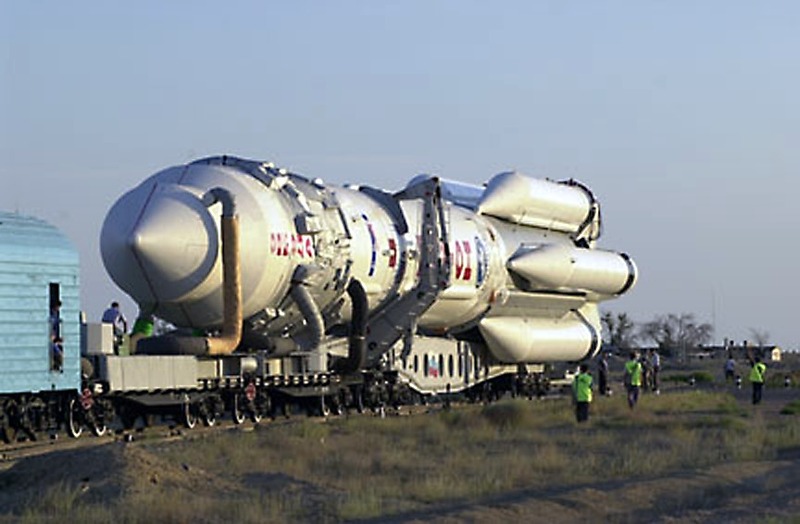 Amazingly, one of the 6 Proton-M engines can lift 160 tonnes – that’s one powerful rocket engine! 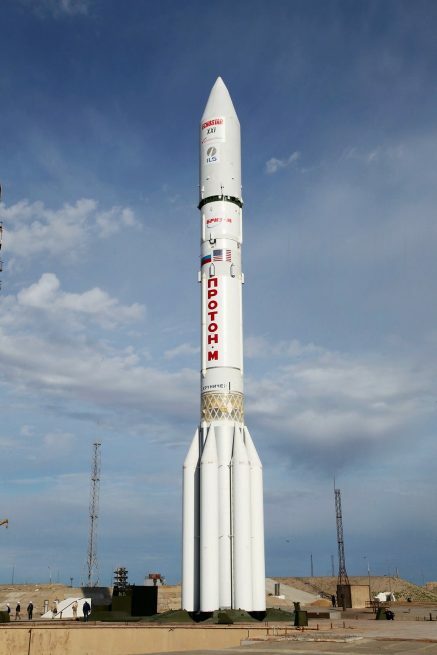 The first stage of the Proton-M has a distinct ‘Russian’ look with a central core that has 6 fuel tanks (including the rocket engines) strapped on. 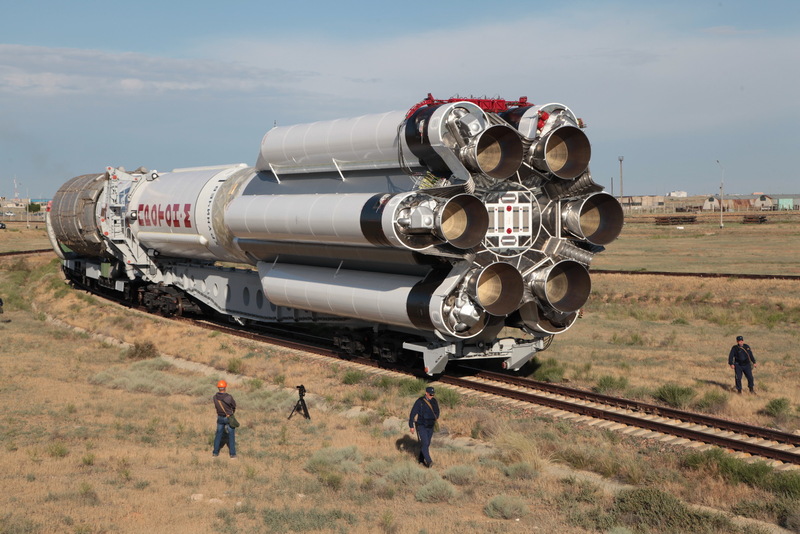 Strangely, this is simply because of logistics, as the central oxidizer tank is the maximum diameter that can be transported by train to the Baikonur launch site - as they are made in other cities in Russia. 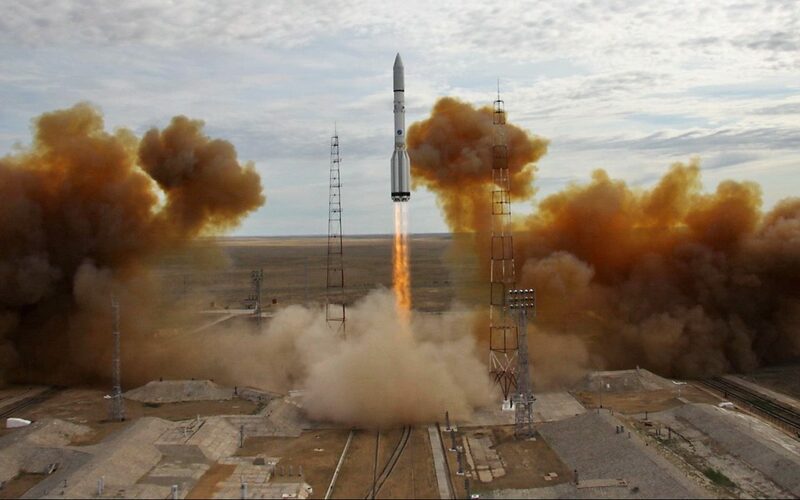 The Proton-M can place up to 23 tonnes (51,000 lb) into low Earth orbit and about 3,250 kgs into the higher geosynchronous orbit which many communications and global positioning satellites require. 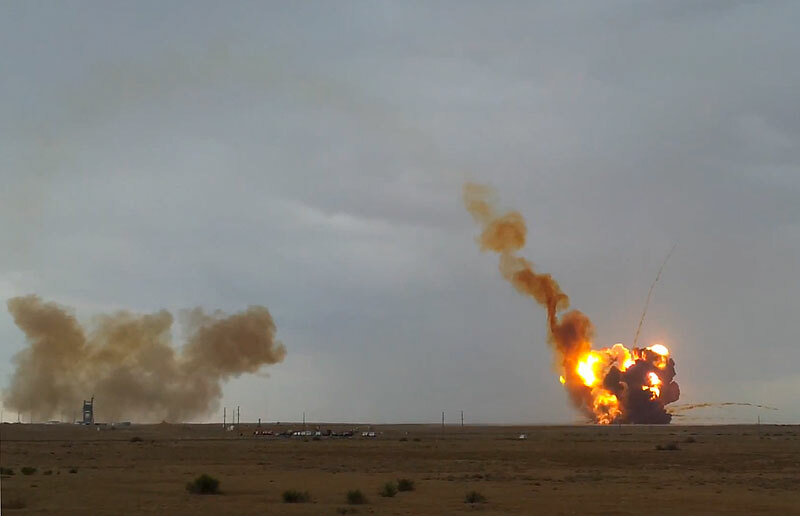 A typical Proton-M flight exhausts its first and second stages (which then crash back to Earth into designated crash sites), while the third stage continues on a sub-orbital flight and crashes into the Pacific Ocean. 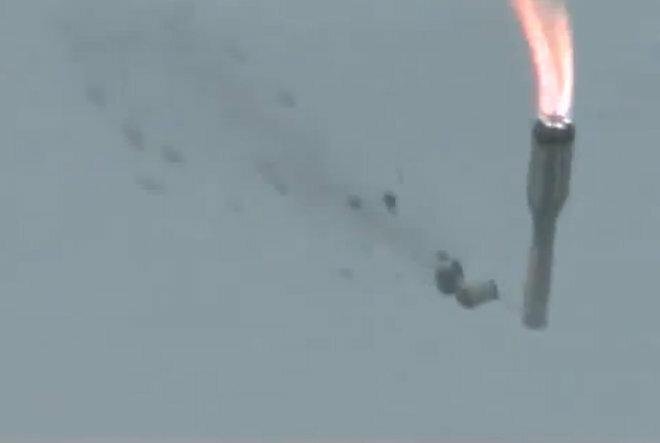 Finally, the Briz-M upper stage fires to place the payload into its final orbit. 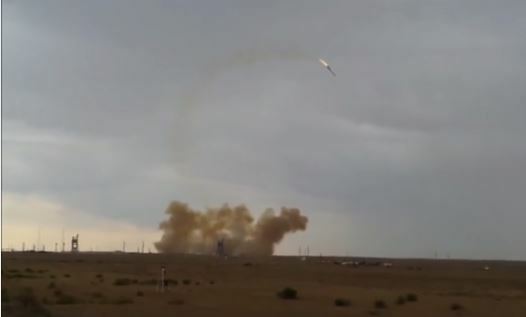 As of late 2017, there have been 102 Proton-M launches with 10 failures (including a spectacular explosion shortly after launch in 2013) representing a success rate of 90% which will look to be improved on in the coming years. Falcon 9 | SpaceX’s Remarkable Reusable Rocket! What Is The Soyuz Rocket And How Does It Work? Space Launch System (SLS) – NASA Returns To Deep Space! Saturn V | Facts On The World’s Most Powerful Rocket! Cool Fun Facts About The Milky Way Galaxy!